PERRYSBURG, Ohio (July 27, 2016) - Owens-Illinois, Inc. (NYSE: OI) today reported financial results for the second quarter ended June 30, 2016. Earnings from continuing operations were $0.65 per share (diluted), which was on the high end of management's guidance of $0.60 to $0.65 per share, despite continued economic pressures. This compares favorably with earnings from continuing operations in the second quarter of 2015 of $0.26 per share (diluted), and, on an adjusted basis, of $0.60 per share. Net sales were $1.8 billion, up 14 percent from the prior year second quarter, a clear benefit derived from the Company's acquisition of Vitro's food and beverage business (the "acquired business"). Excluding the acquired business, sales volumes were 1 percent above the prior year period, in line with management's full year expectations. Earnings from continuing operations before income taxes were $141 million in the quarter, more than double prior year results. Segment operating profit of reportable segments1 was $233 million, a 25 percent increase compared with prior year, driven by stability and operational performance of the legacy business, as well as the impact of the acquired business. All regions except Asia Pacific posted higher segment operating profit compared with prior year. Strategic initiatives are on track to deliver 2016 targets. The Company is reaffirming its full year guidance for earnings and cash flow. Commenting on the Company's second quarter results and outlook, CEO Andres Lopez stated, "We are very pleased with the solid progress on the execution of our strategy. Our meaningful performance improvement is the result of significant focus on improving our efficiency, stabilizing both revenue and operating performance, and continued success with the integration of the Mexico acquisition. In addition, we are gaining momentum by enhancing customer service, implementing a more robust end-to-end global supply chain and transforming our organization to deliver improved quality, agility, speed, flexibility and innovation - all at a competitive price. We have been delivering steady improvement, which has resulted in margin expansion and a year-over-year increase in earnings. Looking ahead, we remain committed to our earnings and cash flow guidance." Net sales in the second quarter of 2016 were $1.8 billion, up $217 million, or 14 percent, from the prior year second quarter. The Company's investment in non-organic growth is driving the top line higher; the acquired business generated $234 million in net sales - 13 percent of global net sales - due to strong shipments within Mexico and to the United States. Price was up $18 million on a global basis, primarily driven by price adjustments that reflect cost inflation. Unfavorable currency translation adversely impacted net sales by $31 million, or 2 percent. Management efforts to drive revenue stability are taking hold. The 1 percent increase in legacy shipments on a global basis was in line with management expectations. Shipments in Europe increased 3 percent, driven by mid-single digit gains in beer and wine. In North America, legacy volumes were on par with prior year, as higher spirits and non-alcoholic beverage shipments mostly offset the decline in beer. Second quarter shipments for legacy Latin America declined as weakness in Brazil was partially offset by double-digit increases in the rest of the region. Asia Pacific reported a 2 percent increase in volumes, due to higher beer and wine shipments in the region's mature markets. Earnings from continuing operations before income taxes were $141 million in the quarter, an increase of $79 million compared with prior year. This was mainly driven by higher segment operating profit (+$46 million) and the change in items not considered representative of ongoing operations (+$33 million). Segment operating profit was $233 million in the second quarter, $46 million higher than prior year second quarter. The substantial year-on-year improvement was primarily driven by the strong results of Europe and the acquired business. Legacy Latin America reported strong performance in light of the aforementioned decline in volume. Adverse currency translation, primarily in Europe and Latin America, impacted segment operating profit by $5 million compared with the second quarter of prior year. In the quarter, the acquired business contributed approximately $44 million to segment operating profit, continuing on the path to exceed management's initial expectations of $140 - $145 million for the year. Strong domestic sales, the successful ramp up of the new furnace in Monterrey and cost synergies all contributed to its strong performance. Europe reported a $9 million improvement in segment operating profit compared to prior year. Operating performance significantly improved in the second quarter, buoyed by the efforts of the plant improvement teams in the region and more broad-based improvement in productivity and quality. As expected, average selling prices in Europe were modestly lower than prior year. Price-cost spread was modestly negative, as lower selling prices were not fully offset by energy deflation. Segment operating profit for North America was $10 million higher than the prior year second quarter. The improvement was driven by the acquired business. The legacy business continued operating well and reported solid results in line with prior year. Latin America's segment operating profit improved $30 million, more than doubling the prior year profit. This is due to the very successful integration of the acquired business, which contributed $33 million of segment operating profit. Currency translation was a $2 million headwind compared with the second quarter of prior year. The legacy business delivered a very solid performance despite the challenging economic situation in Brazil. The management team continues to focus on controlling costs. This combination of legacy and acquired business performance caused the 350 basis point expansion in segment operating profit margin for the region. In Asia Pacific, higher sales volume and price increases together contributed $5 million to segment operating profit. However, this was more than offset by higher planned production downtime. Modest year-on-year improvement in segment operating profit is expected in the second half of the year. Retained corporate and other costs amounted to $25 million, an improvement sequentially from $32 million in the first quarter of 2016, and compares to $18 million in the prior year quarter. The effect of foreign currency hedges, which are mainly reflected in corporate costs, adversely impacted costs. Additionally, management incentive accruals, in line with better financial performance, also increased corporate costs. Net interest expense in the quarter was $67 million, up $21 million from the second quarter of the prior year, entirely due to acquisition-related interest expense. The Company continues, however, to benefit from low variable interest rates. The Company reported second quarter 2016 earnings of $0.65 per share (diluted). This is on the high end of management's guidance of $0.60 to $0.65 per share. The Company continues to expect earnings from continuing operations attributable to the Company (diluted) for the full year 2016 to be in the range of $2.18 to $2.29 per share. Excluding certain items management considers not representative of ongoing operations, this equates to adjusted earnings per share for full year 2016 in the range of $2.25 to $2.35 which affirms prior guidance. The earnings guidance ranges reflect uncertainty in macroeconomic conditions and currency rates, among other factors. Reflecting the aforementioned assumptions, the Company expects cash provided by continuing operating activities for 2016 to be approximately $750 million. After deducting additions to property, plant and equipment of approximately $450 million, free cash flow for 2016 is expected to approximate $300 million, which is consistent with prior guidance. www.o-i.com/investors, in the Webcasts and Presentations section. The conference call also may be accessed by dialing 888-733-1701 (U.S. and Canada) or 706-634-4943 (international) by 7:50 a.m. EDT, on July 28. Ask for the O-I conference call. A replay of the call will be available on the O-I website, www.o-i.com/investors, for a year following the call. 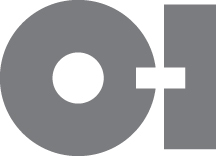 O-I's third quarter 2016 earnings conference call is currently scheduled for Wednesday, October 26, 2016, at 8:00 a.m. EDT. Management believes that its presentation and use of certain non-GAAP financial measures, including adjusted EPS and free cash flow, provide relevant and useful information, which is widely used by analysts, investors and competitors in the industry, as well as by management in assessing both consolidated and business unit performance. The information presented regarding adjusted EPS relates to net earnings from continuing operations attributable to the Company, exclusive of items management considers not representative of ongoing operations because such items are not reflective of the normal earnings of the business, divided by weighted average shares outstanding (diluted). In addition, the Company also presents adjusted EPS on a constant currency basis, adjusting the currency translation effect on prior year earnings to allow management to evaluate the Company's operations without the external impact of currency translation. Management has included adjusted EPS to assist in understanding the comparability of results of ongoing operations. Further, the information presented regarding free cash flow relates to cash provided by continuing operating activities less capital spending and management has included free cash flow to assist in understanding the comparability of cash flows. Management uses non-GAAP information principally for internal reporting, forecasting, budgeting and calculating compensation payments. Management believes that the non-GAAP presentation allows the board of directors, management, investors and analysts to better understand the Company's financial performance in relation to core operating results and the business outlook. This document contains "forward-looking" statements within the meaning of Section 21E of the Securities Exchange Act of 1934, as amended (the "Exchange Act") and Section 27A of the Securities Act of 1933. Forward-looking statements reflect the Company's current expectations and projections about future events at the time, and thus involve uncertainty and risk. The words "believe," "expect," "anticipate," "will," "could," "would," "should," "may," "plan," "estimate," "intend," "predict," "potential," "continue," and the negatives of these words and other similar expressions generally identify forward looking statements. It is possible the Company's future financial performance may differ from expectations due to a variety of factors including, but not limited to the following: (1) the Company's ability to integrate the Vitro Business in a timely and cost effective manner, to maintain on existing terms the permits, licenses and other approvals required for the Vitro Business to operate as currently operated, and to realize the expected synergies from the Vitro Acquisition, (2) risks related to the impact of integration of the Vitro Acquisition on earnings and cash flow, (3) risks associated with the significant transaction costs and additional indebtedness that the Company incurred in financing the Vitro Acquisition, (4) the Company's ability to realize expected growth opportunities and cost savings from the Vitro Acquisition, (5) foreign currency fluctuations relative to the U.S. dollar, specifically the Euro, Brazilian real, Mexican peso, Colombian peso and Australian dollar, (6) changes in capital availability or cost, including interest rate fluctuations and the ability of the Company to refinance debt at favorable terms, (7) the general political, economic and competitive conditions in markets and countries where the Company has operations, including uncertainties related to economic and social conditions, disruptions in capital markets, disruptions in the supply chain, competitive pricing pressures, inflation or deflation, and changes in tax rates and laws, (8) impacts from the United Kingdom's referendum of withdrawal from the European Union on foreign currency exchange rates and the Company's business, (9) consumer preferences for alternative forms of packaging, (10) cost and availability of raw materials, labor, energy and transportation, (11) the Company's ability to manage its cost structure, including its success in implementing restructuring plans and achieving cost savings, (12) consolidation among competitors and customers, (13) the ability of the Company to acquire businesses and expand plants, integrate operations of acquired businesses and achieve expected synergies, (14) unanticipated expenditures with respect to environmental, safety and health laws, (15) the Company's ability to further develop its sales, marketing and product development capabilities, (16) the timing and occurrence of events which are beyond the control of the Company, including any expropriation of the Company's operations, floods and other natural disasters, events related to asbestos-related claims, (17) the Company's ability to accurately estimate its total asbestos-related liability, and (18) the Company's ability to successfully remediate the material weakness in its internal control over financial reporting, and the other risk factors discussed in the Company's Amendment No. 1 to the Annual Report on Form 10-K/A for the year ended December 31, 2015 and any subsequently filed Quarterly Report on Form 10-Q. It is not possible to foresee or identify all such factors. Any forward-looking statements in this document are based on certain assumptions and analyses made by the Company in light of its experience and perception of historical trends, current conditions, expected future developments, and other factors it believes are appropriate in the circumstances. Forward-looking statements are not a guarantee of future performance and actual results or developments may differ materially from expectations. While the Company continually reviews trends and uncertainties affecting the Company's results of operations and financial condition, the Company does not assume any obligation to update or supplement any particular forward-looking statements contained in this document. Adjusted earnings per share, segment operating profit of reportable segments ("segment operating profit"), segment operating profit in constant currency, segment operating profit margin and free cash flow are each non-GAAP financial measures. See tables included in this release for reconciliations to the most directly comparable GAAP measures. Excluding charges of $28 million during the second quarter of 2015 for note repurchase premiums and the write-off of finance fees related to debt that was repaid prior to its maturity. See the table entitled Reconciliation to Expected Adjusted Earnings - FY16 Forecast in this release. See the table entitled Reconciliation to Free Cash Flow - FY16 Forecast in this release.